BMS - Fine n' HOT bikes. BMS bikes are superb buys, they normally include an aluminium tubular frame ideal for lightness and strength. Although these bikes have a number of models they offer great engines and front and rear brake discs for maximum grip. 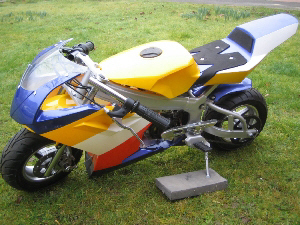 The cowlings are manufactured in fibreglass or carbon, and come in a range of colours, then add colorful graphics; and these bikes do stand out from the crowd. BMS do offer racing accessories so if you like to spend on extras, this model is ideal. Bms bikes certainly come in all shapes and sizes. BMS bikes are regarded as quality mini bikes too, alongside Polini and Pasini brands. They build dirt bikes and quads too, ideal for jumping dirt bike ramps and in the dirt bike world, BMS offers quality without the steep prices! Now there are some cool pitbikes that bms produce. 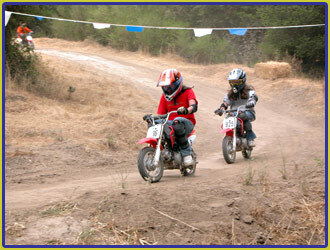 The two most popular are the BMS Dirt Bike YX 125cc and the YX 140cc. Available in a range of colours, even neon green! These four stroke motors are tuff rides. But be prepared to spend a few thousand dollars on such models. If you’re not familiar with bms, many rides have black dirt bike decals, on the catalogue dirt bike pictures. 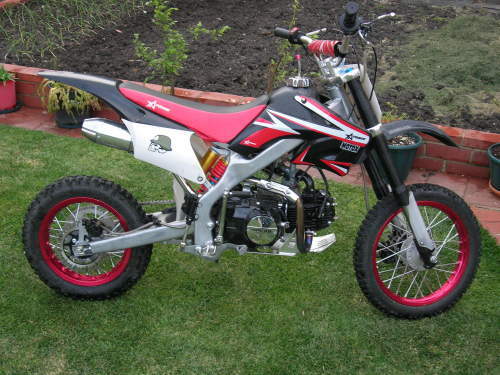 If you can buy these pit bikes in used dirt bike sales, then you’re really onto a bargain. They even make an ATV 250cc (quad bike). A 4-Stroke Manual engine and an extra thousand dollars in price. It comes with a chain drive, front suspension dual wishbone rear suspension swing arm and an electric start. Ideal for those who want that extra bit of stability. Another model you might want to seek out is the SM 125 from bms motorsports. A 125cc engine naturally, 8.3hp air cooled and a chain driven transmission. With a 4-speed clutch, and front and rear disk dirt bike brakes it has most of what many dirtbikers want. One of the dirt bike reviews we came across, loved the front and rear hydraulic disc brakes, and grippy dirt bike wheels on his bms bikes. They are ideal for beginners and children, due to the smooth running engine. Good price and rugged dirt bike suspension. If you dont like 2 wheels how about 4? BMS build a power buggy assembled with a 1100cc engine its a proper two seater Dune Buggy. Driving this at 72mph across the sand really is a thrill. Liquid-cooled and five speed transmission, should see you safely over much of the dirt and debris out there. Bikes and buggies from BMS, what do you want for that special occasion? Bms offers a super racing pocket bike too (it's not just a dirtbike manufacturer); and if you do buy one its best to brush up on some pocket bikes performance tips. This dirt mini pocket rocket comes built from Vancouver and they may even offer a 110cc cheap pocket bike for those wanting a light and powerful machine, so check out their ranges today.